The exquisitely handcrafted Verona picnic basket was designed for those who love to picnic on a casual level. 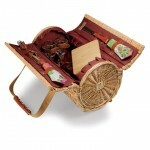 The Verona is a two-lid willow basket with deluxe wine and cheese service for two. 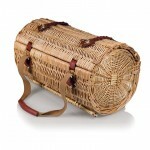 It is lined with PE (polyethylene) for durability, and has premium leatherette accents and canvas carry straps. It comes complete with: 2 hand-blown wine glasses (7 oz. ), 1 nickel-plated bottle stopper with real cork, 1 stainless steel waiter-style corkscrew, 1 hardwood cutting board (6" x 6"), 1 stainless steel cheese knife with wooden handle, and 2 napkins (100% cotton, 14" x 14"). 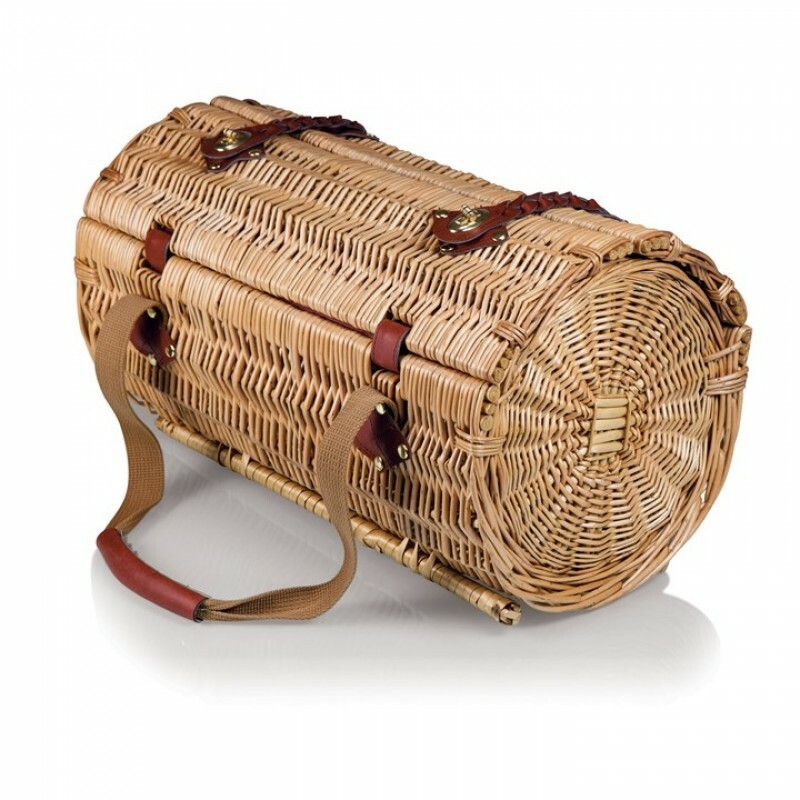 It's ideal for any gift-giving occasion!